We Are Family Foundation (WAFF) is honored to welcome Parkland teens Ariana Ali, Sarah Chadwick, Jack Macleod and Morgan Williams at its 2018 Celebration Gala on Friday, April 27 at the Hammerstein Ballroom in New York City. WAFF’s Youth Ambassadors representing six countries will welcome these teens with a special presentation and a statement of solidarity. In response to the tragedy at Marjory Stoneman Douglas High School in Parkland, FL on February 14, 2018, each of the four Parkland teens joining the evening have responded with their own platforms for positive change: Jack Macleod, Co-Founder of Students For Change; Ariana Ali, Outreach, Students for Change; Sarah Chadwick, “March For Our Lives” Speaker; Morgan Williams, Co-Founder, #StoriesUntoldUS. The night will also honor The Who's Roger Daltrey CBE and entertainment icon LL Cool J for their humanitarian efforts. Roger Daltrey, LL COOL J and Nile Rodgers & CHIC will perform live at the event. To purchase tickets or to make a contribution to We Are Family Foundation, please visit wearefamilyfoundation.org. Contributions are fully tax-deductible to the extent allowed by law. 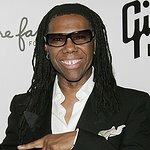 If you are one of the 800,000 federal government workers who has been furloughed or is forced to work without pay, Nile Rodgers & CHIC would like to help you “leave your cares behind” for a few hours.